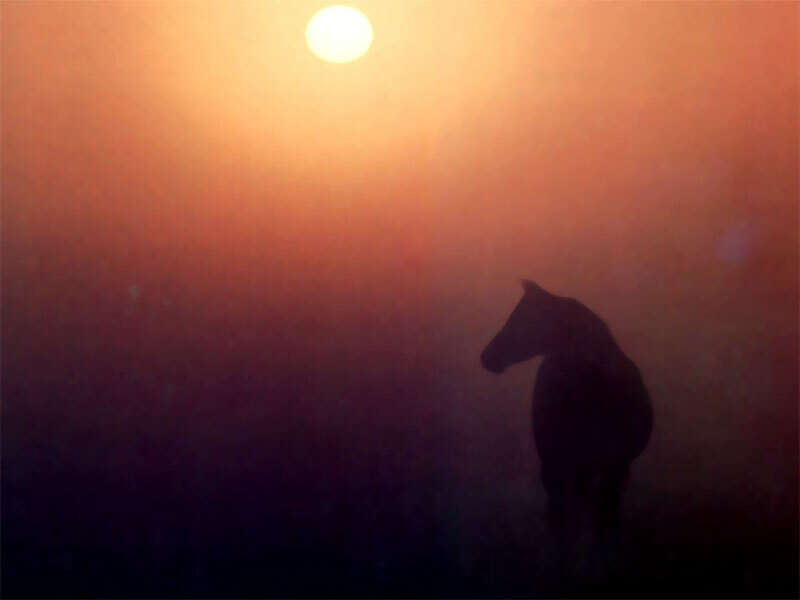 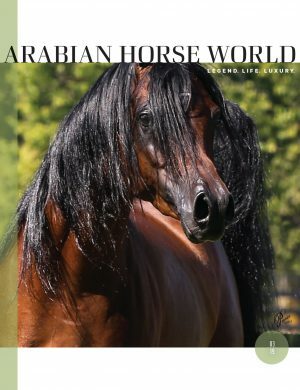 “Every now and then in our breed we create an individual so captivating, that public enthusiasm and adulation for the horse are across the bloodlines board, from newcomer to seasoned breeder. 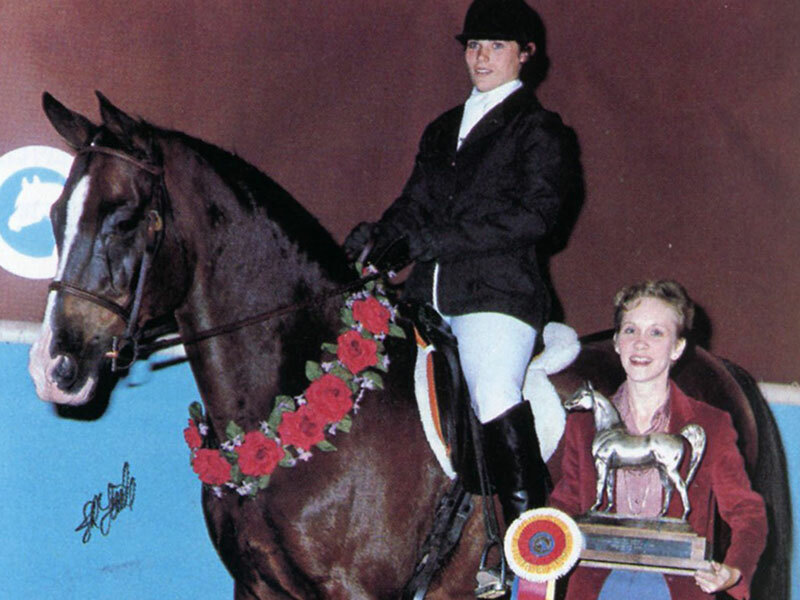 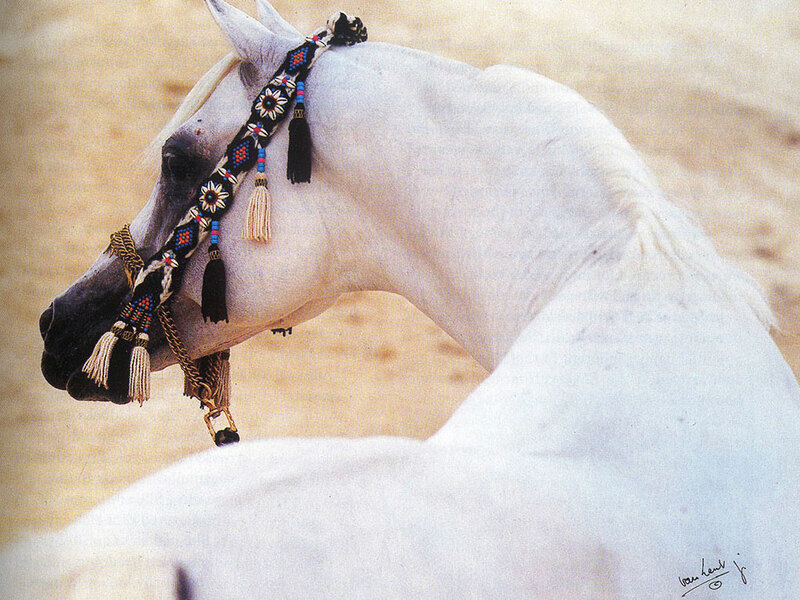 Such a horse is Ali Jamaal, 1989 U.S. National Reserve Champion Stallion. 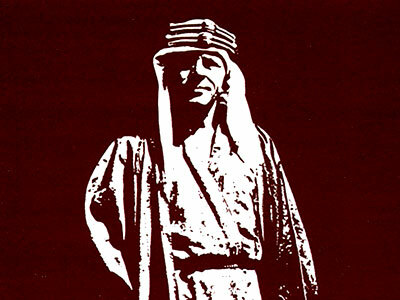 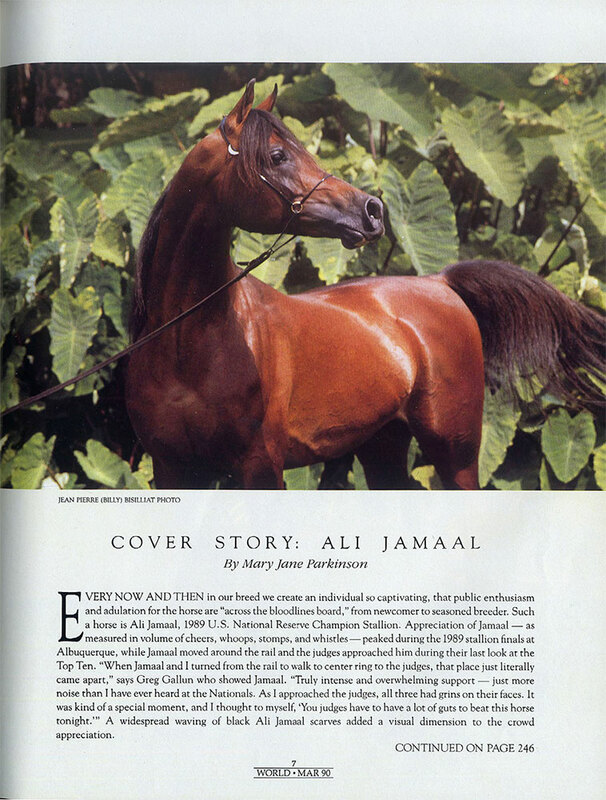 Appreciation of Jamaal — as measured in volume of cheers, whoops, stomps, and whistles — peaked during the 1989 stallion finals at Albuquerque, while Jamaal moved around the rail and the judges approached him during their last look at the Top Ten.” Enjoy this throwback article from our March 1990 issue, the cover story, “Ali Jamaal,” written by Mary Jane Parkinson.